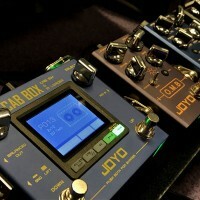 The JOYO PXL-Live, the newest member of the JOYO PXL series programmable pedals controllers - pxl4,pxl8, pxl-pro. 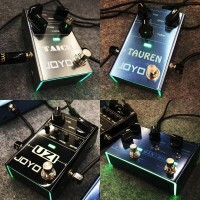 The JOYO PXL-Live is a very powerful pedal controller, it not only can be set to use dual 4 channels like the pxl pro with a total of 8 loop channels, but it is also designed with midi out, enabling you to trigger any kind of midi enabled amp or effect settings. Send commands via midi cc and midi program to control your computer based recording software. For musicians who are beginning to juggle lots of equipment, the pxl-live will be the perfect pedal loop and midi controller enabling you to turn effects on or off in banks, without tap dancing all over the place. EH - Edit the high loops, also known as loop 2, or, if you are counting from 1-8, eh will edit loops 5-8. ET - Edit the behaviour of the two trigger outputs when selecting a preset. EM - Edit trigger mode: switch between momentary or latch mode. Which one applies to your depends on the equipment you are trying to switch. Consult the manual of the gear you want to switch to identify which to use. 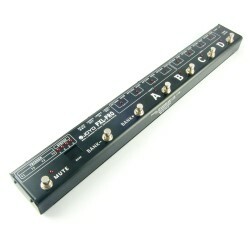 MB - Under MB you can program two individual midi messages that are sent out when the preset is switched to bypass. You might want to send program change message to your amp when putting the pxl-live into bypass so that you can play a distorted rhythm sound without any effects and switch to a clean sound with effects on when engaging the preset again. Please consult the midi section of this manual for more information. 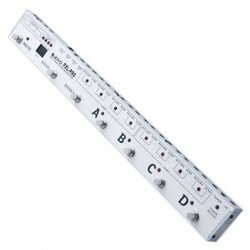 A continuous controller can control and give values to a number of different devices: every midi enabled device is able to define which cc messages their device can receive. You probably know those little joysticks or wheels on keyboards/synths. They work in a similar way, sending cc messages for pitch and modulation. When you are changing the volume on a synthesizer sound, you are sending a cc message. 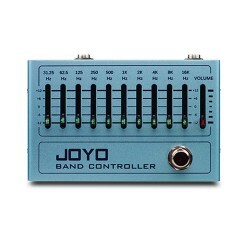 In our case with the JOYO PXL live, you can send a cc message to an amplifier to change the level of a certain channel, as long as the amp is set up to receive and react to that message. 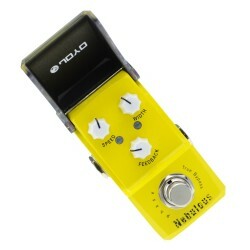 You can use it to change the delay time on a midi capable delay or even to control the looper functions (rec/overdub, play, stop) on delays that have continuous controllers mapped to those functions. 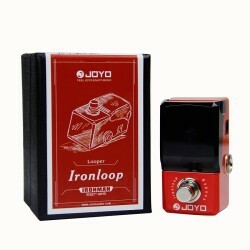 Midi channels - using the JOYO PXL Live with midi you can send 2 program changes to 2 separate devices on different channels, for example. 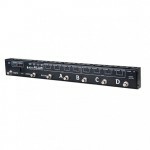 Midi cables can carry up to 16 different midi streams on 16 different channels. 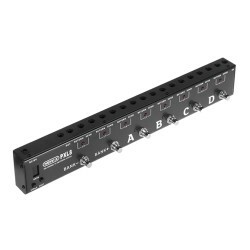 Simply set your receiving device to the correct channel and it will only react to midi messages that are being sent on that channel and ignore everything else that might also be carried on the same cable. This way you can daisy-chain several devices and each device can be talked to independently. The possibilities are endless and are only limited by the type of gear you have and by how creative you want to get with your pxl-live. 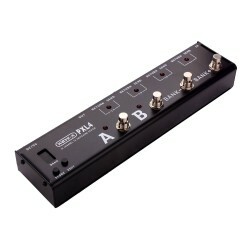 This product is the best thing i have ever owned, i have ran 2 amps, 8 pedals and managed to manipulate all them perfectly with one press of a button. 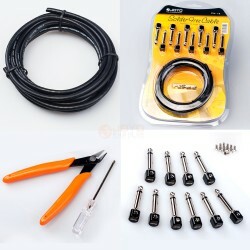 Why this product isn't more than the price above i don't know, so far i have met a lot of walls with my equipment and overcome every one of them with the looper. 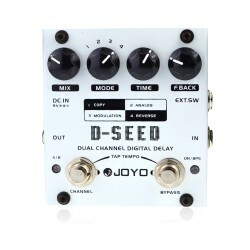 If there was any point id buy two just because it so good, thank you wizards of JOYO you absolute bunch of legends.